EXCEPTIONAL Vineyard Château, style Renaissance, 16th Century, Roman chapel from the 9th Century, staff housing, wine caves with a foot print of over 2000m² of which one is imposing and really beautiful, tasting room and wine shop, various agriculture buildings and outbuildings, 174 ha of contiguous grounds of which 63ha of vineyards are in production, fields, olive orchard, woods and a beautiful relaxing park area, located in a sumptuous setting, there is nothing to compare to! 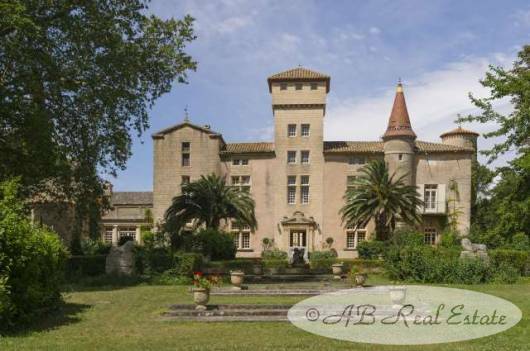 This exceptional Renaissance vineyard chateau was built in the 16th Century and modified in the 19th Century. All is renovated and well maintained. 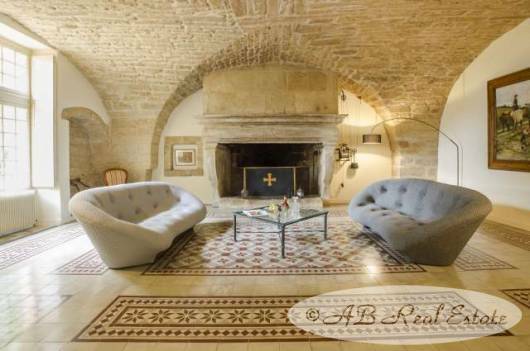 There is a beautiful Roman chapel from the 9th Century, a renovated caretaker's house of 200 m² adjoining the Chateau, a fully renovated manager's house of 160 m² with swimming pool, staff housing, beautiful wine caves of which one is imposing and beautiful with a foot print of over 2000m2, tasting room and wine shop, a beautiful stone shed of 200m², various agriculture buildings and outbuildings, 174 ha of contiguous grounds of which 63ha of vineyards are in production, fields, olive orchard, woods and a beautiful relaxing park area, 17 variety of grapes, producing excellent wines with export worldwide, located in a sumptuous setting. There is nothing to compare to! This exquisite property enjoys one of the most beautiful lifestyle environments of the Languedoc in Occitanie. 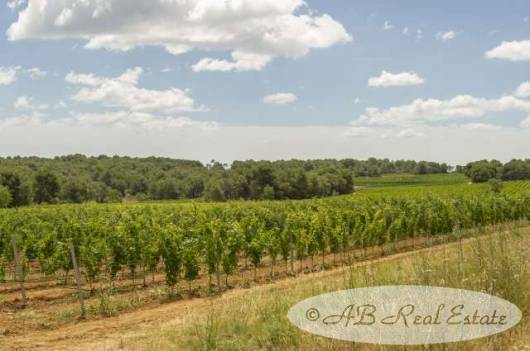 Whilst having easy access to all infrastructures including motorway, international airport and to the Mediterranean coast with sandy beaches, the property lies totally private and peaceful, in an unspoiled area with Mediterranean climate, a haven of peace. 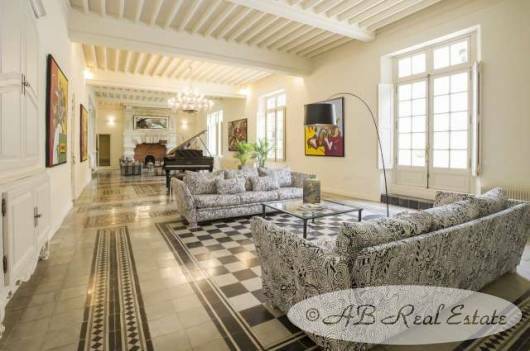 The completely renovated Chateau is absolutely stunning and in very good condition; it offers more than 800m² of living surface spread over three levels. 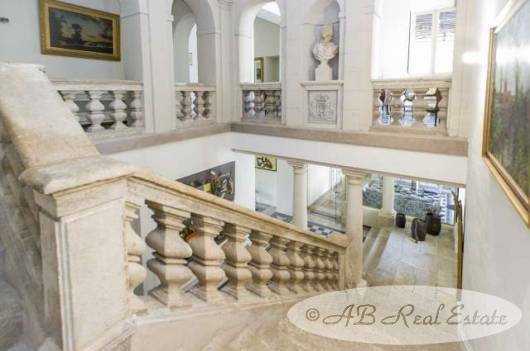 On the ground floor, beautiful and large vaulted reception rooms with fireplaces and spacious and bright living rooms. 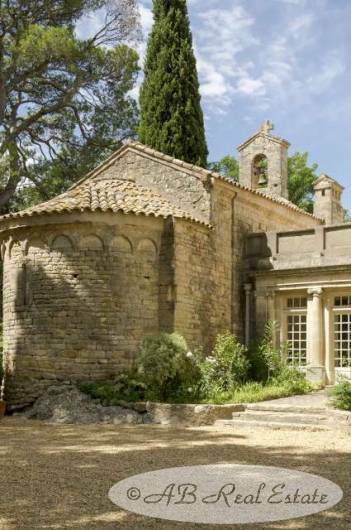 Attached is an authentic roman chapel of the 9th-10th century, the castle overlooks a park of 3 hectares planted with magnificent bicentennial trees and decorated with fountains and ponds. In addition, the Chateau enjoys an independent and totally private swimming pool with its pool house and a tennis court. 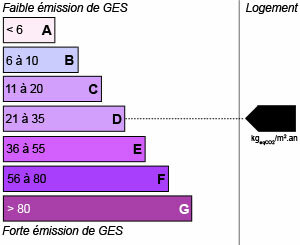 About 63ha with 17 variety of grapes are today in production; it would be possible to extend the vineyard up to 75ha. 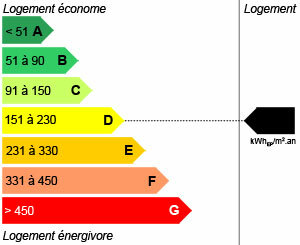 About 50ha are classed in AOP and 13ha in Vin de Pays. 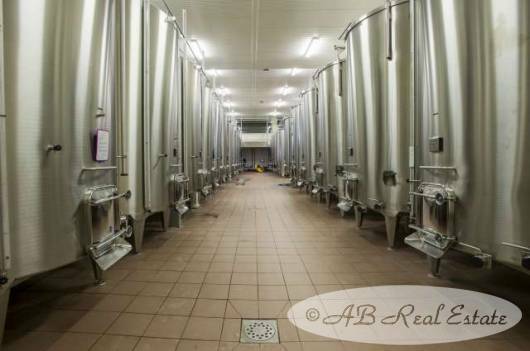 The wine cellar of more than 2000m2 is very well equipped and offers a capacity of about 5500hl. 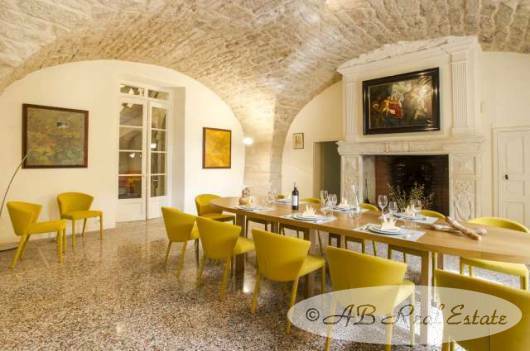 A very prestigious part is the barrel cellar; a spacious and contemporary wine shop/ Boutique is welcoming the guest and makes wine tasting at this property to an unique experience. Only a visit can do justice to this unique Estate offering everything a discerning owner could wish for -- this property is perfect in every way and you will not come across anything like it elsewhere. Luxury, exclusivity and style, combined with harmony and good energy - that characterises this dream property ! 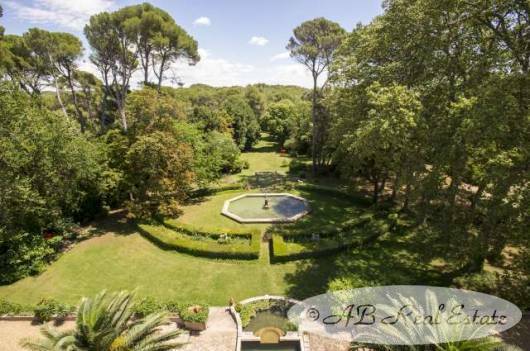 If this extraordinary estate has captured your imagination, please dont hesitate to contact us.